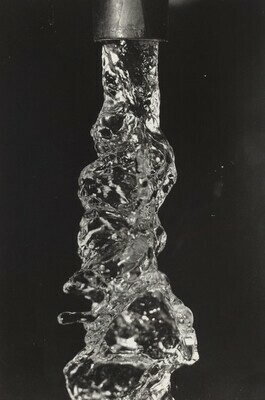 The Estate of Harold Edgerton; (Fraenkel Gallery, San Francisco, CA); purchased with donated funds by NGA, 1999. Seeing the Unseen: Dr. Harold E. Edgerton and the Wonders of Strobe Alley. Rochester, 1994: n.p. Dust Breeding: Photographs, Sculpture & Film. Exh. cat. Fraenkel Gallery. San Francisco, 1998: 7.